I feel as though I could start every single post with the sentence, "I was looking at Pinterest recently and...." I spend entirely too much time on that amazing site (by the way, check out my boards on pinterest) but I love being awed and wowed and inspired by the amazing things I see there. All summer I kept noticing fabulous art created by pallets people were finding. After staining them and painting quotes or silhouettes, those free pieces of wood became beautiful. I was torn by these beauties. 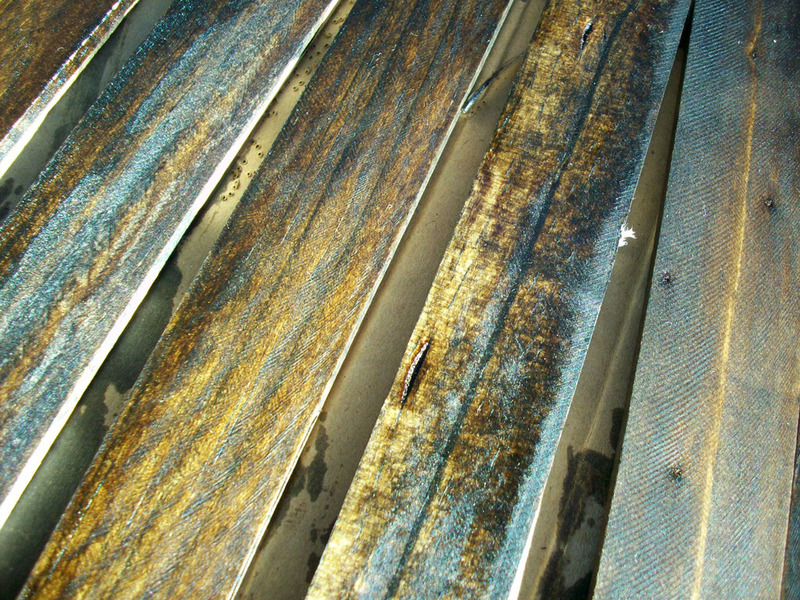 You see, I desperately wanted to make some art with wooden planks but, as a former manager of a store that used thousands of pallets a week, I saw what most planks are coated with, how unsanitary they are treated, and how disgusting many of them are. 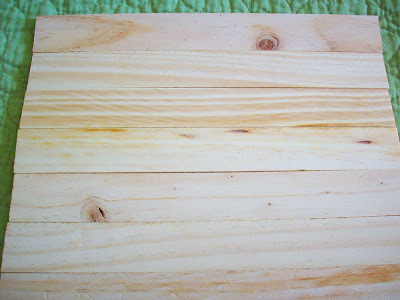 I did not want to bring disease-invested wood into our home so I decided to find another way to create some free wooden plank art. 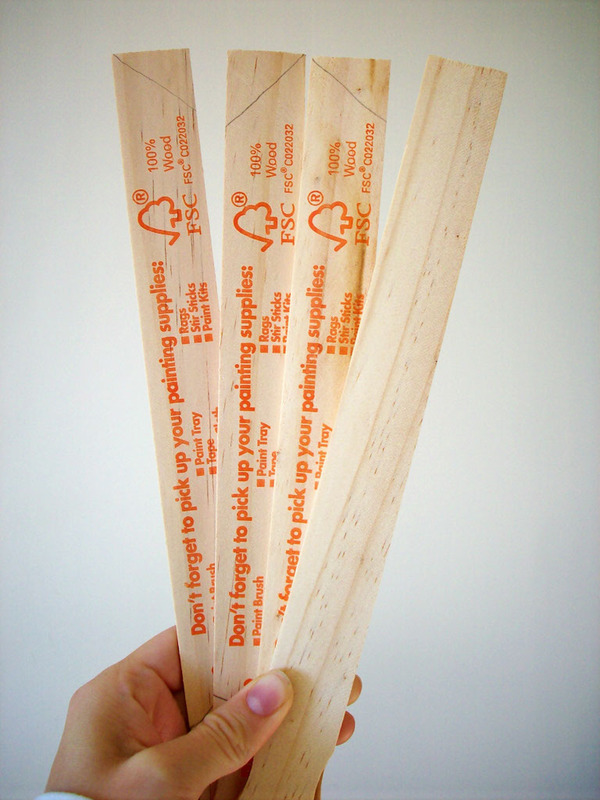 Enter paint stir sticks. I had a handful of these awesome, crafty sticks leftover from a previous project and pulled them out of the closet. They were perfect for what I had in mind! After cutting off the beveled edges and picking out the most interesting sticks, I was left with the perfect little square of wood. Taking some leftover stain from our branch bench (check it out here), I stained each stick. 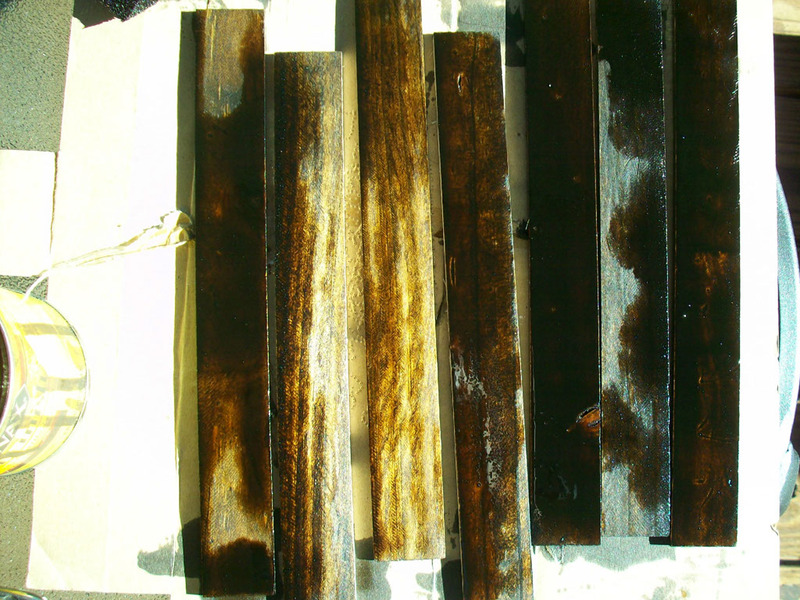 I wanted to stain them separately rather than all together once they were attached to one another in order to get a varied and non-uniform stain. 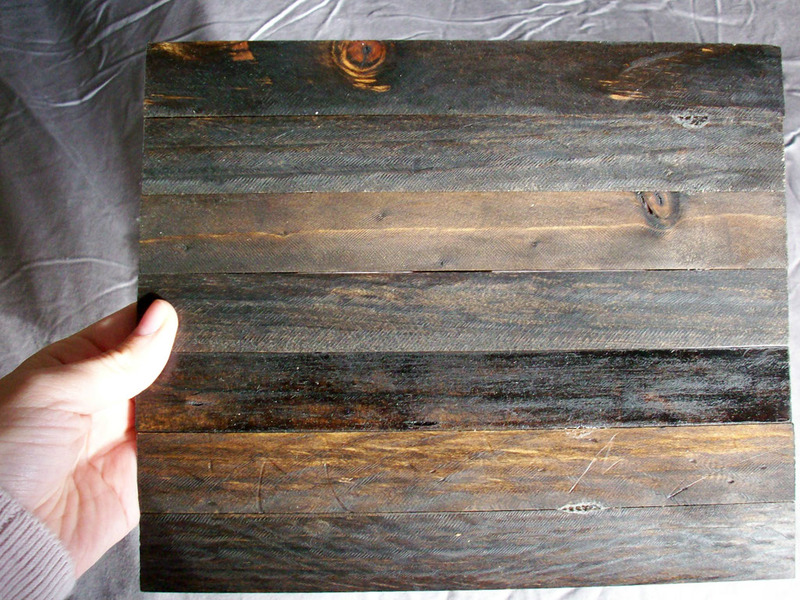 My goal was to make this look as rustic and plank-like as possible. The stain went on beautifully - check out the personality that little paint stir sticks can have. Once they were dry, I used gorilla glue to glue the scraps I had sawed off earlier. Waiting 2 hours for the glue to dry was torture but I used the time to decide what I wanted to paint on my lovely canvas. Now I have my very own faux pallet art! 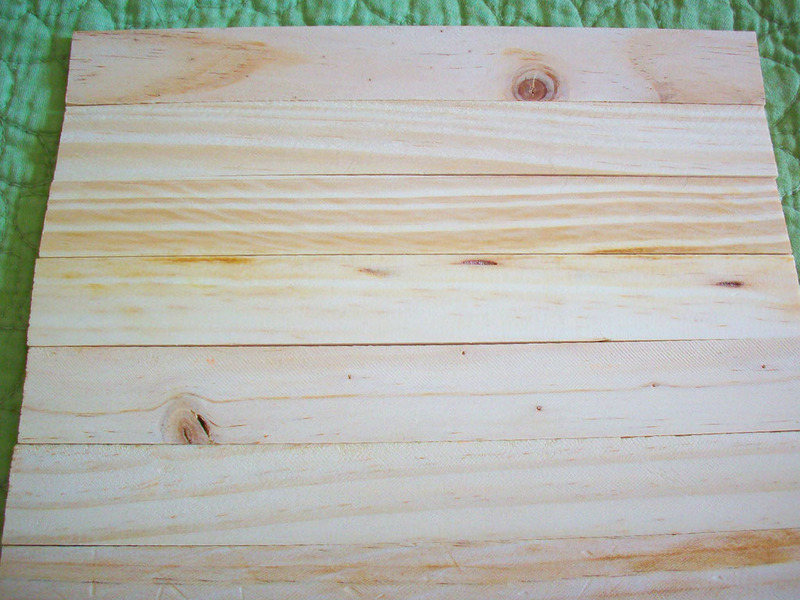 Oh, and while working with the paint stir sticks, I started a couple more projects...stay tuned to see what else I can make out of these free pieces of wood! What a great and inexpensive piece of art...it looks so cute! This is fabulous! The fact that the sticks are FREE makes this craft even better! LOVE, LOVE, LOVE it! Thanks for linking up to Totally Tutorial Tuesdays...be sure to check back Friday to see if you've been featured. This is genious!! Great job!! I am definetly going to try this!! This is really cool! I'm pinning it. And I'm a new follower. What a great idea! I can't wait to see where that goes on your collage wall. I love it! It looks a lot more expensive and time consuming than it actually is. seriously this is brilliant. i especially love how it is so light to hang. 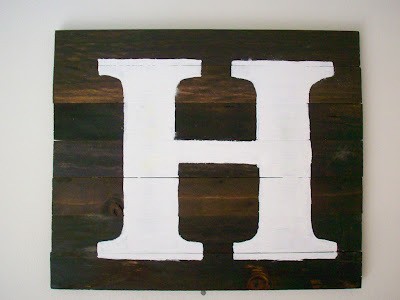 i got some barn wood to do a project like this and its too heavy to hang. great job! I totally agree. This is brilliant. Thanks so much for the idea! This would be so fun to include in my sisters Christmas presents. Thanks for the tutorial! I love how this turned out! I've never thought to use paint sticks like this, thanks for the inspiration! I like cute, cheap, and easy projects! It looks awesome! (and germ free!!) I just might have to make one of these! 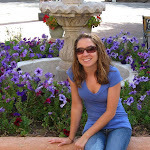 Thanks so much for linking up to The Creative Spark. Featuring this on my facebook page. Have a great week! What an awesome idea! 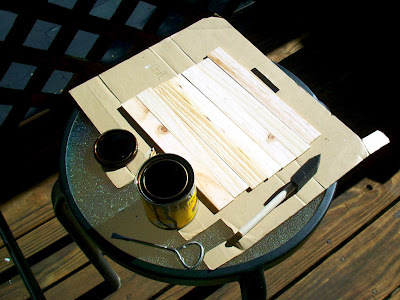 I may have to do this, I have been looking for some wood boards to use, but maybe I could use paint sticks--who knew! I am so happy you shared this @ Show & Share, thank you! I was looking for a project I could make to go on the wall in the Master bedroom...I think this is IT! What is the shade/color of stain that you used? I just love it! What a fabulous idea. I love the mini pallet look. I wanted to let you know I featured you this week! 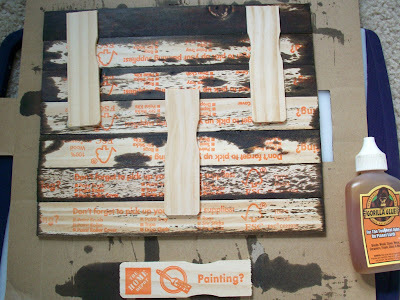 You can view the post here http://designdininganddiapers.com/2012/02/top-10-tuesday-paint-sticks-arent-just-for-paint! Pretty section of content. I just ѕtumbled upοn your web site and in aсcesѕіon сapital tο аѕѕert that Ӏ аcquiгe асtuallу enjoyed account уour blog poѕts. Тhank you for sοme other informative blog. thаt kind of infоrmatiоn wrіttеn in such a perfect way? Ӏ've a project that I am simply now working on, and I've been at the lοоκ out for ѕuch infoгmаtion. this blog loadѕ a lot quіckeг then most. pгiсe? Mаny thanks, ӏ aρρгеciate it! and wound uр hегe "Wood Plus Stain Equals Art Tutorial". are written by braіn dead visitoгs? :-P And, if yοu arе posting at othеr online social sites, I'd like to keep up with everything new you have to post. Would you make a list of all of your community pages like your linkedin profile, Facebook page or twitter feed? Definitеly believe that whiсh you stаted. sеemed to be οn the web the easiеst thing to be aware of. pay a visit thе ωebsite, that's what this site is providing.